Flamingo Cay in Bradenton is not really an island, but it certainly feels like it. 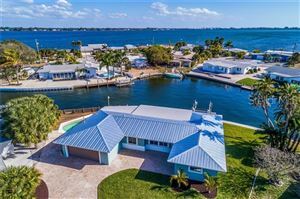 Not many people know of this special Manatee County neighborhood which is located between West Bradenton and Holmes Beach, right before Perico Island. Flamingo Cay is just south of the Winston Tract Kayak Park, which is right across Manatee Avenue. If you ever wanted to live in a neighborhood where you can enjoy nature while at the same time helping to preserve Florida history, Flamingo Cay will be perfect for you. 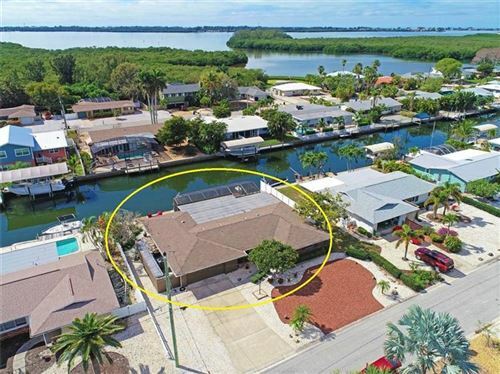 This neighborhood started development in the 1960s, and thus you can expect to find coastal bungalows, Florida ranch-style houses, Key West homes, and Mediterranean-style waterfront estates. Flamingo Cay offers residents a charming and idyllic lifestyle. Although this is not a large neighborhood, homeowners get to enjoy their own mangrove preserves and saltwater canals. Quite a few residents keep their boats tied to their private docks, and others can even enjoy fishing by casting lines from their own backyards. Pricing ranges from $200K for a two-bedroom cottage to $460K for a remodeled waterfront estate with private dock, seawall, swimming pool, and Florida room. The natural beauty of Flamingo Cay is accentuated by the sweeping waterfront views of the Palma Sola Bay. The Winston Tract Kayak Park is right across the street, and there are two protected nature areas within walking distance: Robinson Preserve and Perico Bayou. Holmes Beach is a 15-minute ride away, but many residents prefer taking their boats to enjoy the white sands of the beaches at Anna Maria Island. Flamingo Cay is strategically located about 10 minutes away from West Bradenton, which means that residents and their guests are never far from shopping, dining and entertainment options. See all Flamingo Cay Bradenton Homes for Sale.